Associate Professor Kirsty Buising is an infectious diseases physician working for the Victoria Infectious Diseases Service (VIDS). 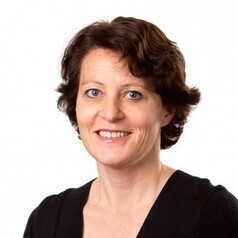 She is Deputy Director of the National Centre for Antimicrobial Stewardship and chief investigator for the National Health and Medical Research Council (NHMRC) funded Centre for Research Excellence in Antimicrobial Stewardship. Kirsty also holds an appointment as a clinical research physician at VIDS leading the research and development for the Guidance group. Kirsty serves on advisory groups at state, national and international levels in the areas of antimicrobial stewardship, guideline development and healthcare associated infection.